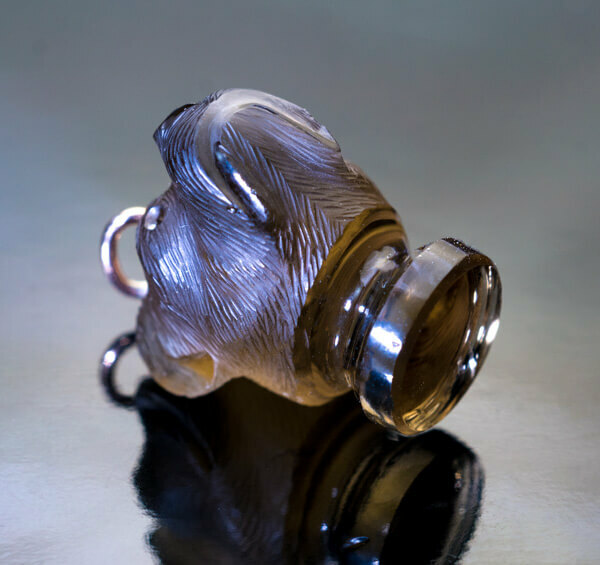 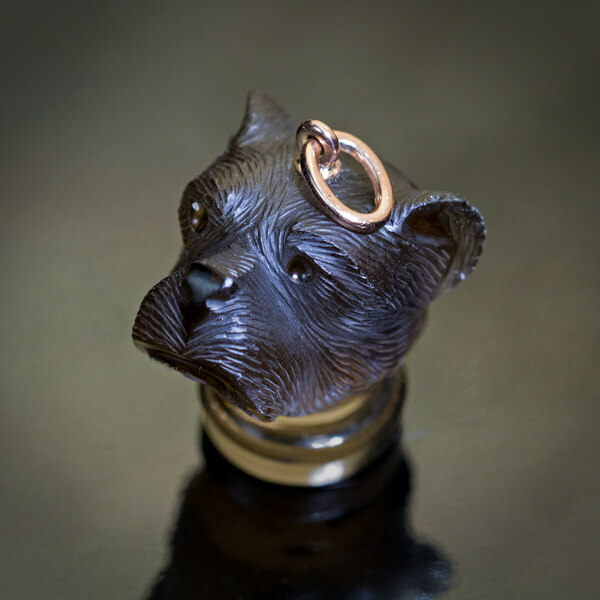 A Victorian era antique pendant – seal is designed as a dog’s head placed on a round pedestal. 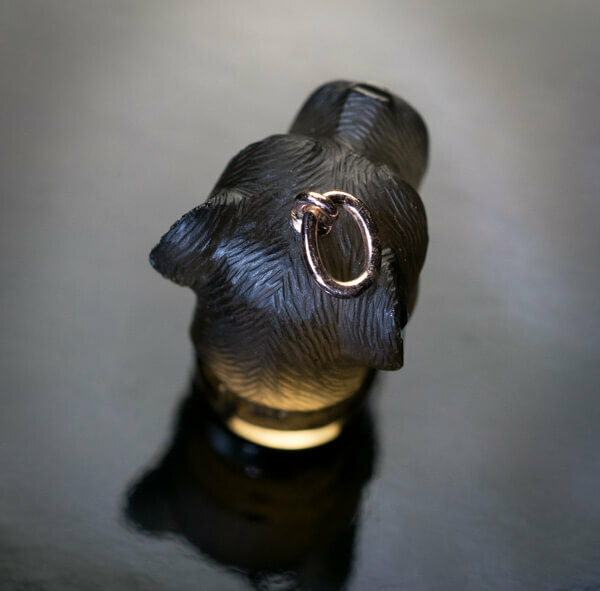 The pendant is carved from a single piece of smoky topaz and mounted with a 14K gold suspension ring. 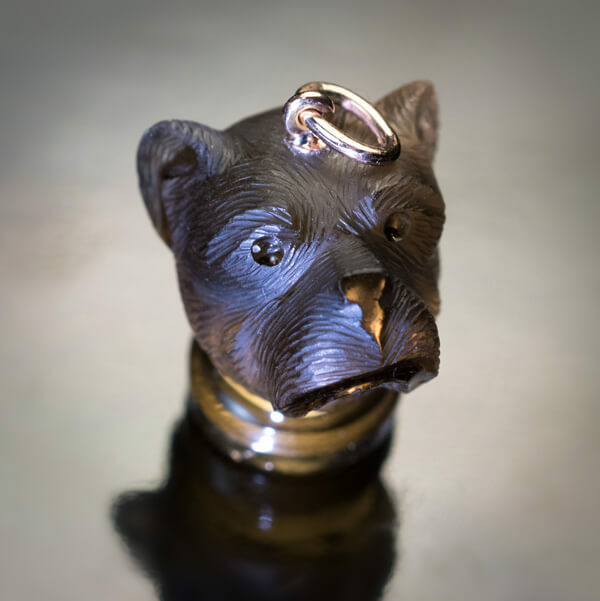 The base of the pendant was intended to be a seal but was left unengraved. 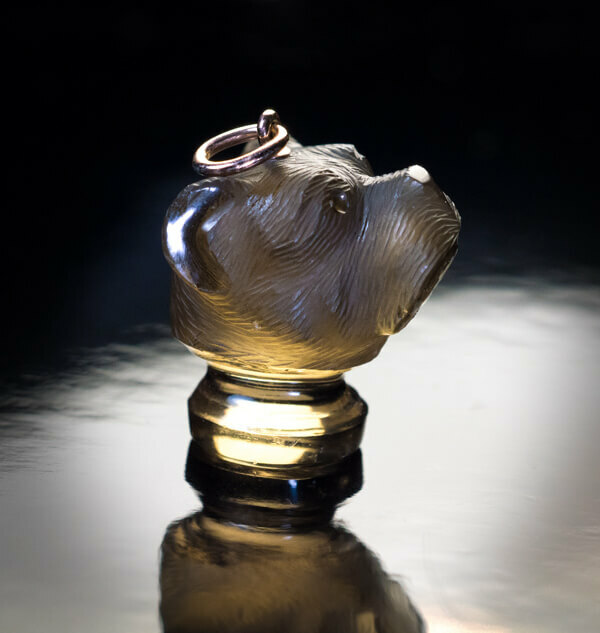 Condition: some tiny chips to the edges of the ears.